Number Agents: Have we forgotten that children are still just children? Have we forgotten that children are still just children? My journey into play based learning and my resulting learning (ongoing of course) about brain development has led me to this question. 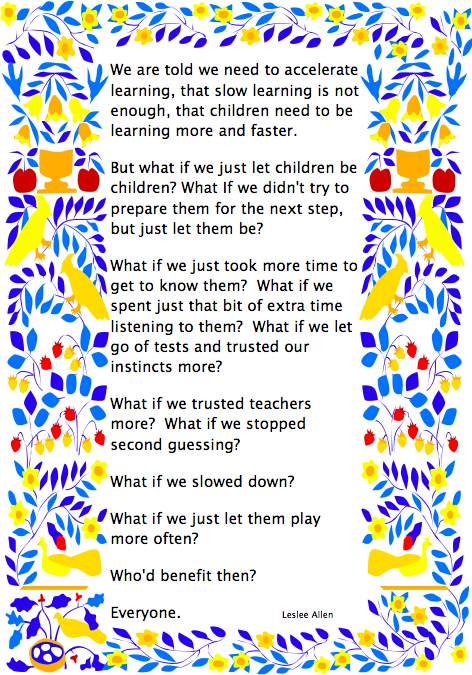 In all our wisdom and push to provide for modern learners, have we forgotten that children are still just children? We seem to be so desperate to jump on the next bandwagon, to shape our classrooms for the future, to teach these supposedly 'different' learners, who are so 'different' to how we were, in progressive ways. There are businesses shaped around providing professional development and resources so we can provide for these supposed different learners....but what is it that has made them so different? My thinking has now meandered to this point....children are no different to how we were....they are still just children....with the same developmental needs...the environment around them has shaped them in different ways, which leads them to engage or seek activities that are different to those we sought out, but is this necessarily a good thing, and is this benefiting anybody? I think back to my childhood and it was of course very different. I spent hour upon hour outside, riding bikes, horses, swimming in creeks, playing skipping games and elastics, using my imagination, climbing trees....just being a kid. I had a social life, I frequently had friends over and didn't have a constant stream of after school actvities. Back then very simple hand held devices were being introduced and I loved them, in fact just like children today, if my mother had allowed me to, I probably would have spent hours on these...but she didn't. I also remember as a teen getting our first computer. Basically all I used this for was learning basic code to make it do fun things....if it could of done more, I would have probably spent more time on it. Of course the key here would have been, I wouldn't have been allowed to. Children are still just like we were. They spend time on devices because we allow it, probably not because it is their preference, but they are there, they are entertaining and intriguing...I would hasten to add probably a bit addictive and they have few other options. Lives are busy, social lives have dwindled, outside play is a dying art. 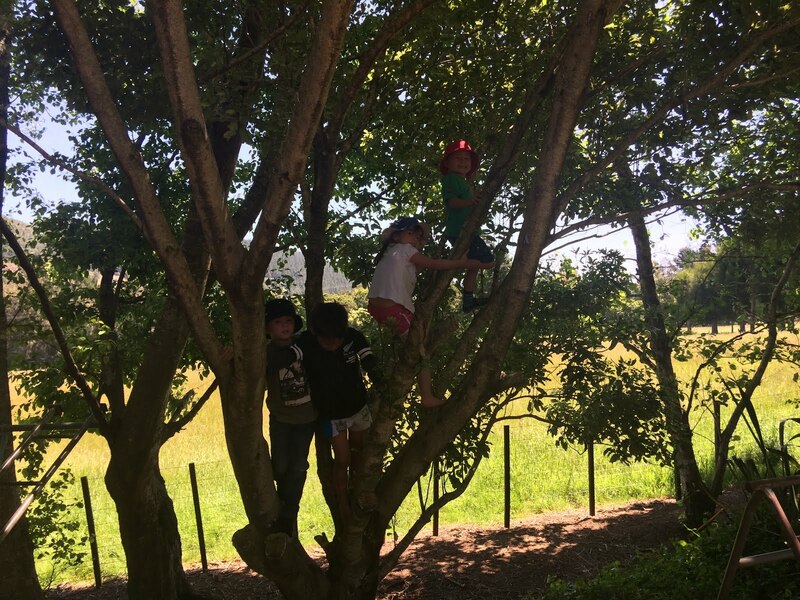 Children need other children, whilst they can play alone, they enjoy the social nature of play...with friends they are much more likely to opt for the outdoors. I have also had an interesting thought...are the young adults we are seeing with real wellbeing issues a result of us beginning to believe the hype that children are so different from how we were and treating them as if they were are different model of child, using approaches that pushed them through childhood and did not allow them the right to follow their appropriate developmental pathway? 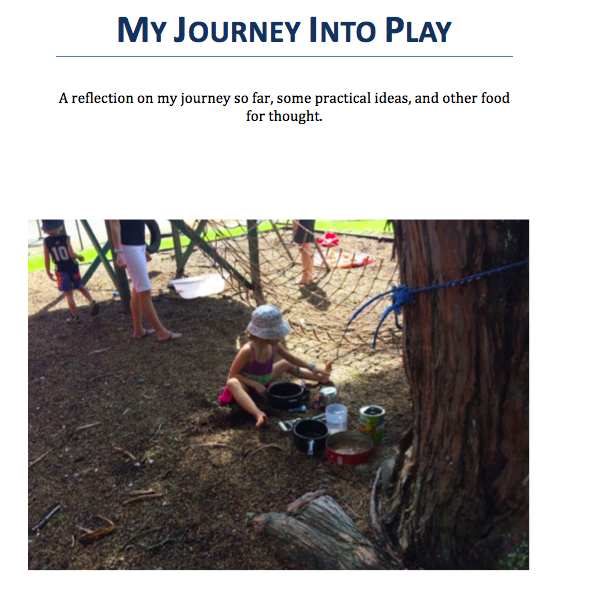 If play is not present in the home, then I believe it is our absolute responsibility to provide for this fundamental need even more so at school. And so I have come to a point in my thought process where I feel a little like the Lorax....but instead of the trees, I speak for our children, and they need us. No, school should not be the cure of all ills, but in this case I think it needs to be. We have taken all devices out of our room. We have not had them for two years now and the children are 'different.' They learn to socialise much more quickly, are not drawn to the shiny bauble that is that device and low and behold have learned to use their imagination. I am not saying you have to do this, but we have and love it. In fact most of our junior rooms up to year 3, are going this way. 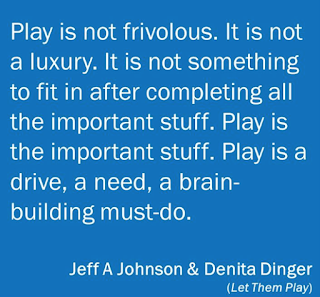 Play needs to be put back at the centre of what we do...in fact it needs to be what we aim for. Children need to be encouraged to do all those things that they need to do developmentally to build that part of their brain securely. If you have read my earlier blog posts you will know what I mean here, so I won't go on about this. My children adore playing clapping games. It took us a while to learn pat-a-cake, but it is now a firm favourite. They are no different to how I was, or you were, they are children. 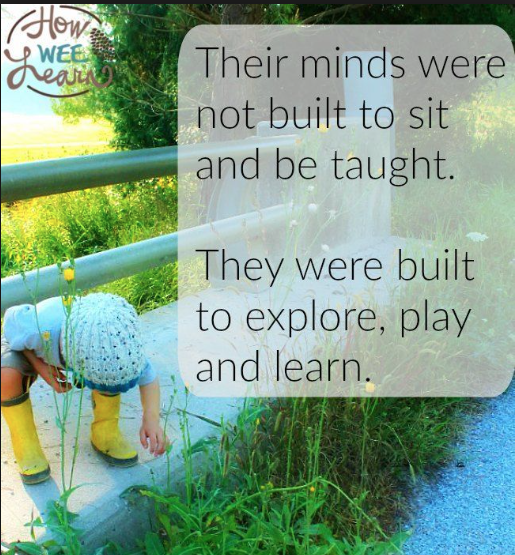 Play is elevated to the highest and most important thing we can be doing in our class of children (who have had 0-18months at school) We talk about the power of it for their brain and hopefully this starts to spill over into home. We get outside a LOT! In fact some children spend more time outside then in on lovely fine days. And you know what, those children are no different to how we were. They thrive on our trust. They thrive on the fact that we allow them to be in control. They thrive on movement. They thrive on social engagement. The classroom we have now, I would have loved to be in as a child. They don't seek the shiny baubles of devices, they seek out loose parts, just as I would have as a child. 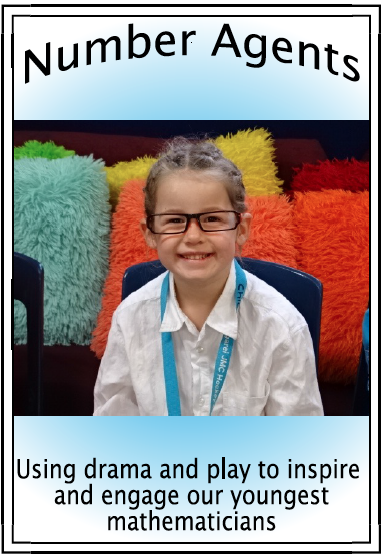 They are not wriggly worms that require wobbly chairs just to focus....in fact behaviour issues are down to an all time low. They LOVE mat time, because they know it will be short and they can return to their play. 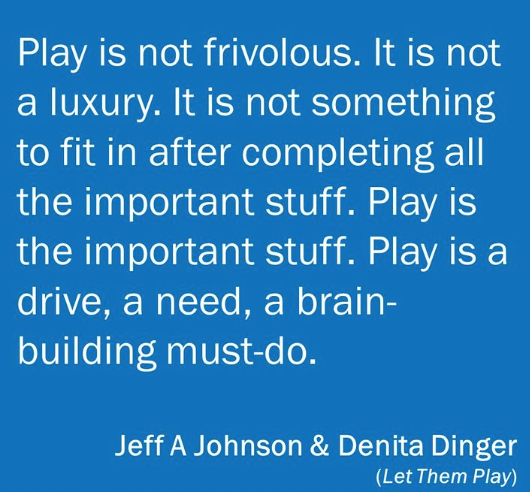 As an advocate for play and for children I believe it is my role and hopefully yours as well if you are reading this, to advocate for play. To spread the word about its importance. To spread the word about the importance of childhood. To encourage it back into homes, before it is lost for good. Children are not some weird and mystical being, so different from us that they need different, new, expensive teaching approaches. They are children with the same developmental, social, emotional needs as we once had as children. They deserve the right to enjoy childhood and all of its joy to the absolute fullest. The deserve the right to explore their world. 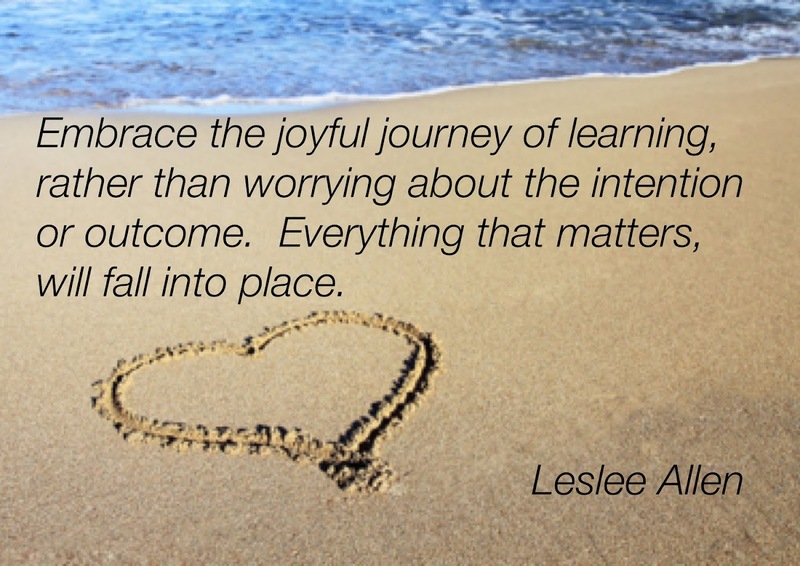 Hi Leslee.. you have written such a reflective post and I echo your ‘meandering thoughts’ so clearly articulated in their entirety. Sharing this with my team and will continue to follow your blog in 2018. So excited and full of renewed hope for the future that people in education still think like me that connections ( people, nature etc) and relationships are integral to keep us well and learning! Thank you for your insights.